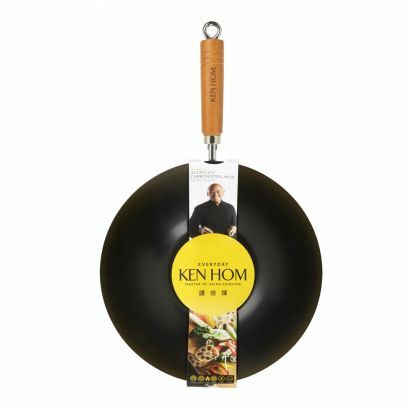 Ken Hom acknowledged as one of the worlds leading experts on authentic Chinese and Asian cooking. Ken Hom everyday carbon steel, non-stick woks combine practicality with ease of use. The woks are coated with a dual non-stick coating designed especiaaly to cope with the high temperatures of stir fry cooking. A lightweight wok ideal for everyday use. Suitable on cermaic, electric, halogen and gas hobs. Not suitable on induction.